Meeting your specific transportation needs at affordable rates! Don’t waste your time getting in touch with an ordinary Car Service now! Our Jacksonville Car Service is not only the highly trustable, but it is designed to fit individual customer needs. So, whether it is a party that you want to attend or arrive at a function with friends, we have got it covered. Our Jacksonville Black Car Service and limousines are spacious, lavish, and highly accommodating. So, if you want to travel in comfort and style, pick one of our amazing party limousines today to avail amazing packages. The most trustable Jacksonville Car Services in town! We, Jacksonville Town Car Service aim at offering convenience and comfort to our customers, which means that when you rent one of our Town Car Service Jacksonville FL, you will not need to worry about anything. Once you book with us, our chauffeurs will get in touch with you and take notes. If you have any additional requests for us, we will be more than glad to entertain them. Get in the fervor of the party and travel in our super amazing Jacksonville party bus! Our Jacksonville Black Car Service and party buses are no match for other local Small Party Bus Rental services. Our buses are beautiful inside out, which means that you can have a relaxing time travelling in them. These buses are quite spacious and have the most entertaining amenities for you to have a pre­party blast. So, dance to the beats of your favorite song with your friends while our chauffeur drives you safely to your destination. No need to wait for an appointment. We, Jacksonville Car Service offer quick­ billing services on short notices! Last minute party invitation? We got you covered! We offer the quickest party bus and Jacksonville limo rental service with the ease of quick billing. So, even if you have to rush to a party at the last minute, you book our party bus or limousine anytime you like. 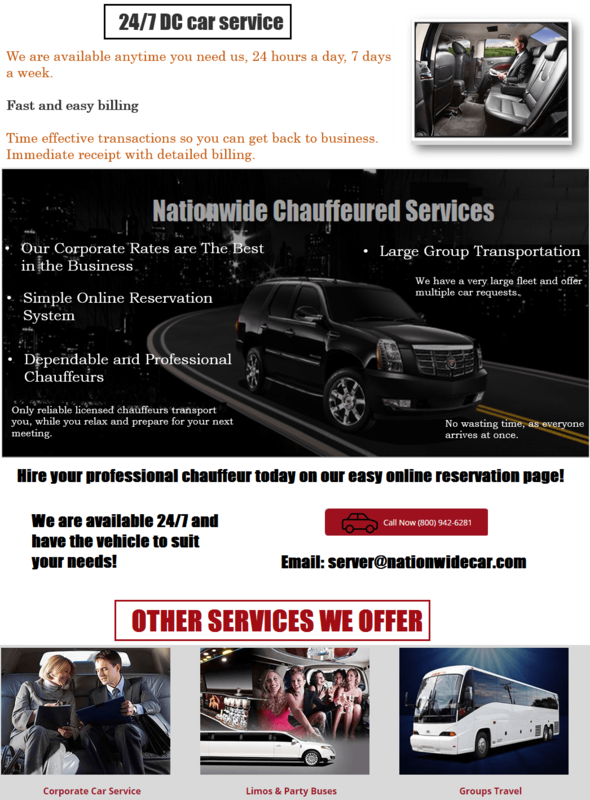 Reserve a limo or Car Services of your choice online and enjoy a fulfilled journey! Call us 800-942-6281 today for Jacksonville Limo service.